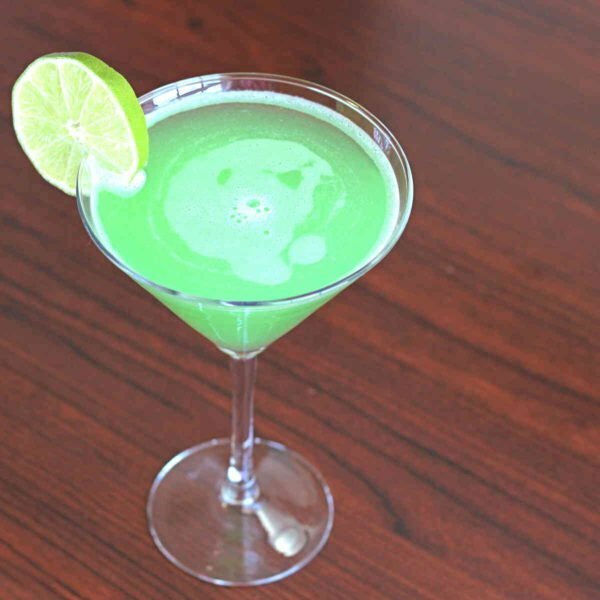 The Emerald Rain blends Hpnotiq with orange juice and lime to create a flavor that has sharp citrus notes at the foreground with mellow tropical fruit playing a close second. It’s also a really pretty shade of green, as you would expect from the name. 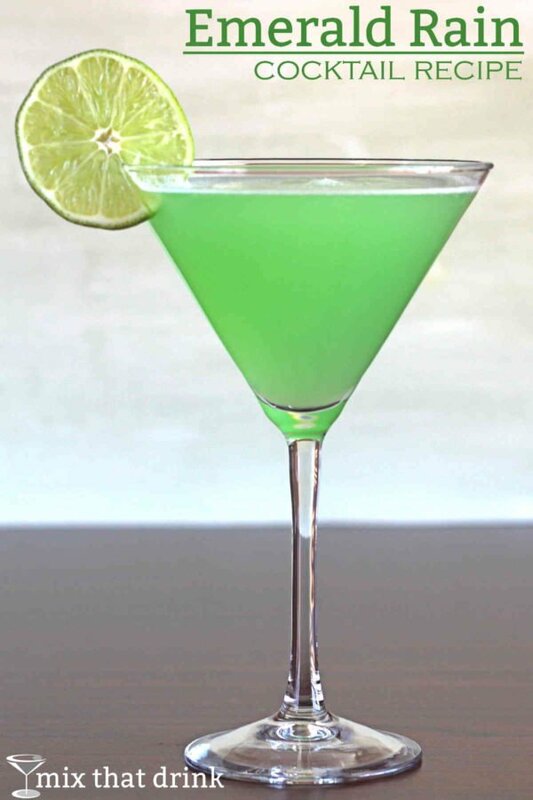 At 34 proof, Hpnotiq is a fairly low proof liqueur. It tastes like mango and passion fruit, with some hints of citrus. But between two ounces of that and the ounce of vodka that’s about 80 proof, it ends up being a rather strong cocktail, and the fruity flavors don’t entirely disguise that. This is a wonderful drink to enjoy when you’re sitting down for the evening – less so if you plan on dancing without falling over. It goes well with a dinner of salmon or chicken grilled with a mango salsa. If you like spice, try it with jerk chicken or a similar spicy Caribbean dish. You can also leave out the ounce of vodka if you’re serving it at, say, an office party or gathering of professionals where you don’t want to send anyone off over the limit. Without that vodka, it becomes a fairly weak cocktail – not as weak as a mimosa, but considerably weaker than a standard drink. Another option is to replace the vodka with sparkling water – then you dilute the alcohol even further and add bubbles and a lovely hint of bitterness that works just like a dash of bitters to enhance the other, sweeter flavors. Use any brand you like! You’re not going to taste it that much in this cocktail, anyway. If you want a recommendation, Absolut is great in cocktails. Skyy, too.